Innovative, sleek and intelligent are all terms used when Nissan is mentioned with good reason. The engineers at Nissan know what consumers want and they abide. Mix in the safety technology and you have a solid ride with fun features. The newer models of the Nissan Sentra have the Nissan Intelligent Mobility, which keeps you connected while also keeping you mindful about your fuel efficiency. There is a variety to offer on our lot here at Carizma Motors. 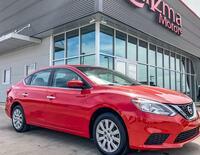 We are excited to have the Nissan Sentra on our lot. You are invited to come join our team as we take you through out inventory. Keep reading to see what the Nissan Sentra has to offer. Compact cars are great for road trips because of the fuel efficiency. Newer models of the Nissan Sentra can see up to 37 highway miles to the gallon and 29 city miles to the gallon. You can see up to 188 horsepower depending on the engine. With a push of a button, you can switch from eco mode to sport mode. The truck houses 15.1 cubic-feet of cargo room. You can fit five passengers in the vehicle to ensure you can bring whoever you want with you and the trip will always be fulfilling. Used cars are always a great option if you are looking for a great price with all the features you want. 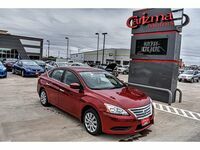 Check out the Nissan Sentra models on our lot. We have a range of model years to check out. If you have any questions about the Sentra family, we encourage you to contact our sales team at Carizma Motors. We are happy to take you through our selection and get you inside for a test drive.